When you're out in the field, the Laerdal Suction Unit with Reusable Canister and its Semi-Disposable Canister counterpart are ideal solutions to suctioning emergencies. If, however, you often find that the patient tube unravels and becomes dirty as a result, the Tubing Strap Hook can help you. The Hook has been designed for use with the Tubing Strap. 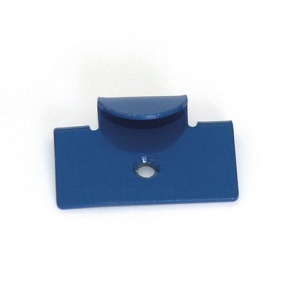 The Tubing Strap Hook allows you to easily manage your Suction Unit's tubing. The strap is easy to install and wipe clean, so maintaining your unit is as simple as wiping it down after each use. This helps you focus on your job and your patients. The Tubing Strap Hook for the Laerdal Suction Units will be subject to a delivery time of 3 - 4 working days after the point of order. For more information, contact our Customer Care Team at 020 7501 0593.